So that you may better appreciate the experience and credibility of Media Street Productions, the following are short profiles of our team. In addition, a talented group of contract editors, directors, videographers, and producers are always on hand for technical, production and creative support on larger scale projects. 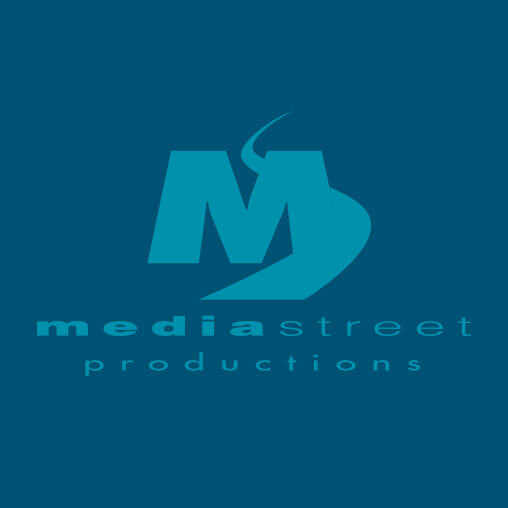 Jennifer is the President and CEO of Media Street Productions Inc., an award winning television production company in Windsor, ON. She is proud member of the Rotary Club of Windsor-Roseland and is a Past District Governor of District 6400. She currently serves as the Vice President of Rotary International’s global board. Jennifer also contributes much of her energy to local organizations. She is the immediate past Chair of the Board of Governors at the University of Windsor and the past Chair of the Board of Directors at the Windsor-Essex Regional Chamber of Commerce. Her leadership also extends to serving on numerous boards and committees furthering the areas of health, education, social service, the arts, children’s mental health, mentorship and fundraising. In Rotary, she has served as the Chair of the Strengthening Rotary’s Brand Advisory Committee, Moderator of the 2013 Coordinator Institute, Vice Chair of the RI Communication Committee, North American Public Image Coordinator, the Advisory Board for Rotary Canada. One of Rotary International’s most recognized communicators, Jennifer has presented keynote addresses and training workshops at hundreds of conferences across North America and most recently in St Petersburg – Russia, Panama City, Bangkok, Lisbon, Finland, India, Sri Lanka, New Zealand, Australia, New Zealand, Germany, Korea and Brazil. With over 25 years of experience in Entertainment and Business Management – Kelly is the one who ensures excellence is achieved at every stage of the production process. Passionate, dedicated and focused – she is the “go to” for all of Media Street’s projects. From client relations and budget development to project management and creative execution, Kelly’s multi-dimensional background makes her a key asset in overseeing the workings of this company that she’s made her home away from home. A community advocate, Kelly is engaged with issues such as animal rights and awareness. She is actively involved in her community, contributing much of her time and skills set to many not-for-profit and local organizations, as a board member, committee member and volunteer. Born and raised in Windsor, Ontario, Jarrod lives and breathes film and filmmaking. A multiple award-winning director and cinematographer, Jarrod has over 20 years of experience behind a camera. As a graduate of Sheridan College’s film production program in 1999, Jarrod has directed over 20 short films and shot more than 80 commercials. Today, Jarrod uses his love of classic movies and knowledge of film theory to bring a cinematic eye to contemporary corporate and commercial video, always searching for fresh perspectives to augment tried and true techniques. Jarrod has a deep love of animals and a formidable collection of hot sauces. In his spare time, Jarrod also likes to write screenplays and produce electronic music. Crafting stories on high 8 and editing VHS to VHS when he was just a kid, video is in his blood. Shooting short films and crewing on wedding shoots for his father when he was in high school, Sean went on to take Communications Studies at the University of Windsor. After University Sean moved to Toronto started Tighe Brothers Productions and created video work for small and large corporate clients. In 2015 Sean moved back to Windsor to raise his family and bring his ideas and expertise to Media Street Productions. From award winning short films to dynamic corporate pieces, Sean Tighe loves what he does, and he does it for Media Street. When she’s not golfing, gardening, camping or making the rest of the office jealous with photos of “her beach” – Judi is ensuring that invoices get sent properly and all the bills get paid. With over 40 years’ experience in insurance, finance and administration in both the US and Canada – she has been an asset to the Media Street team since 2007. Prior to her career at Media Street Judi studied at the College for Creative Studies, Detroit, MI, majoring in fashion Illustration and textiles. She is also a member of the Kingsville Horticultural Society, Naturalized Habitat Network of Essex County and Windsor, Cedar Island Yacht Club. Ryan has been a member of the Media Street team since 2010. Originally responsible for the programming and production of the Rogers’ Chatham and Windsor Home Show, Ryan has now migrated into the role of video editor, further involving himself in the other facets of the Media Street portfolio. Prior to joining Media Street, Ryan worked as an electrical engineer in the automotive sector, graduating from the University of Windsor in 2002 with a Bachelor of Engineering degree. In his spare time, Ryan has been a working musician for 30 years. Ryan travels around Ontario and the United States performing shows with various bands, as well as a duo with his wife, Crystal Gage. Melissa graduated from Specs Howard School of Media Arts and prior to her job at Media Street, gained extensive experience in customer service and worked many years writing and doing voice over work for radio.